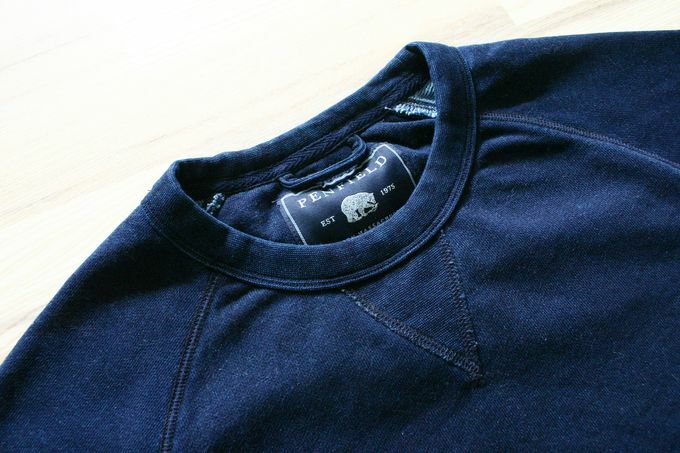 This week's item post will shortly introduce a Penfield sweater I got off Zoovillage's sale last week. I had long been looking for a navy or blue cotton sweater and was lucky enough to find this one in my size for a mere 40ish Euros. The fabric is super soft and the color quite amazing. It has a rich dark blue color that looks like has been applied on a grey fabric, giving it a fantastic "washed" look. 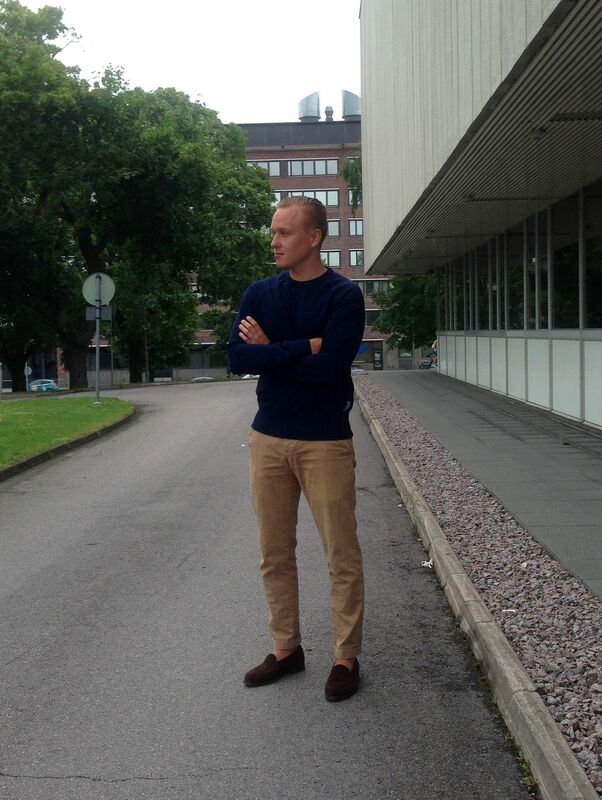 The fit is also quite slim without being too slim, just perfect for a sweater. The only criticism comes from pretty strong color bleed, even after washing it. And a fit pic from this week (iPhone 5 quality, unfortunately). The items include the sweater in question, an Equus Leather bridle leather belt, Brooks Brothers cotton trousers and Septième Largeur penny loafers.